I'm still having a lot of fun learning about jewelry-making. There's an excitement to discovering a whole new craft I haven't felt in a long time. I still love my knitting best but this is a really entertaining diversion. For instance, last night, while I knit, I watched all these videos from Cool Tools about Precious Metal Clay. It's amazing stuff and the things you can do with it--if you have the talent--are really incredible. Here are some more wire wrapping projects with various gemstones. 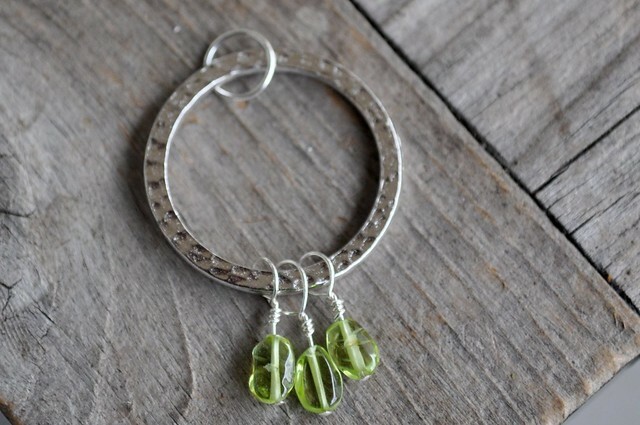 Peridot wired to a rhodium-plated pewter ring for a pendant. 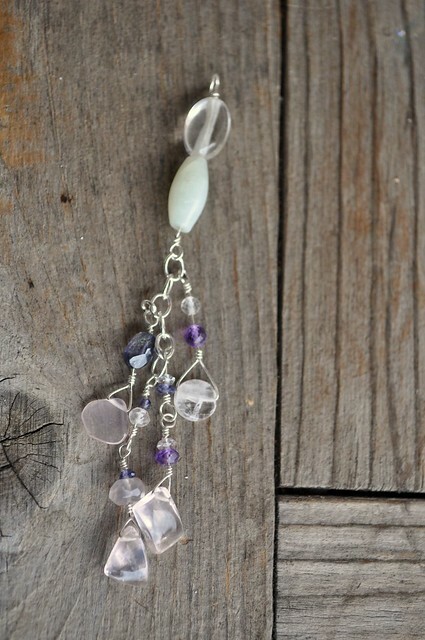 Assorted gemstone pendant. I don't know for sure what any of this is since most of them came as part of assortments. Mostly quartz, I'm guessing. More of the same but this one has a lot more movement. I couldn't get a great photo of it but I think it's pretty. 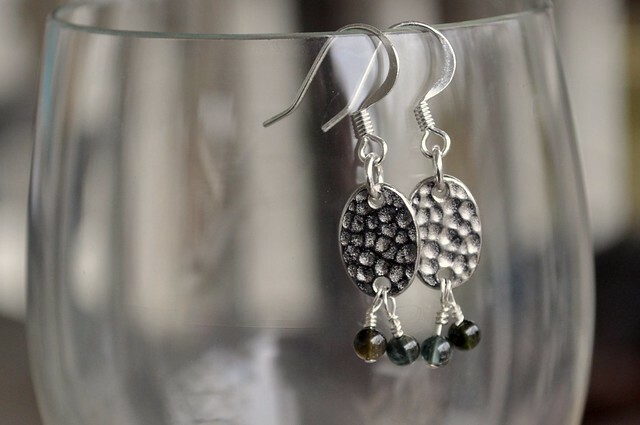 More rhodium-plated pewter components with watermelon tourmaline. I bought a strand of these and love the colors. They run from dark green to pink. Beautiful! I love the periodot pendant, such pretty shapes and colours! Everything looks so pretty! My silver chain necklace with the trio of beads didn't work out so well (odd proportions), so I'm thinking of copying your idea of hanging some beads off a large ring. Taking apart jewelry components is a lot less upsetting than ripping out an entire sweater. I can change things as the mood suits me. I like that! 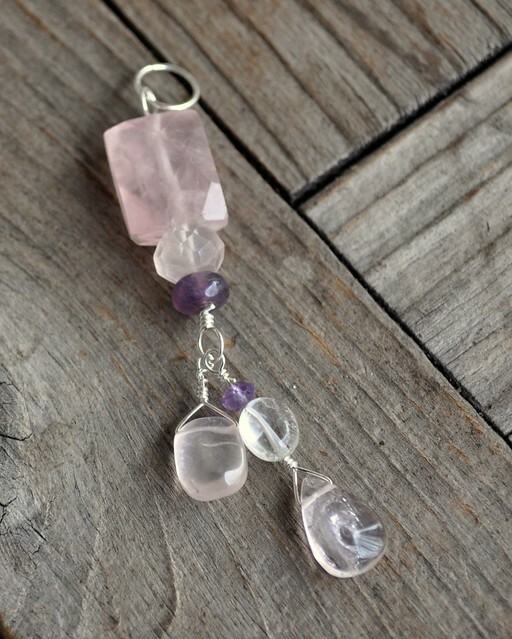 the rose quartz and amethyst creation is gorgeous.